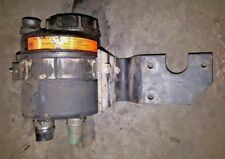 Mack Fuel Pump 21544513 "New"
Mack Horton Fan Clutch 3912-79A8184 "New"
Used and in good working condition. No cracks or dents. 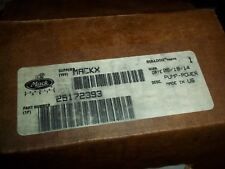 Genuine Mack Computer Module 20960038 "New"
Genuine Volvo Mack Crankcase Separator 21122541 "New"
Mack CX ASET Horton Direct Drive Hub 20922768 "New"
Genuine Mack Horton Fan Clutch 3912-79A8184 85139322 "New"
Genuine Mack Computer Module 25096403 "New"
Genuine Volvo Mack Crankcase Separator 21679517 "New"
Mack Truck MP7 MP8. TKB AUTOMOTIVE PARTS 70.652. Mack Borg Warner Fan Clutch 85147377 22208779 "New"
VOLVO PUMP (20902698). · I try to matchCURRENT cheaper price (I don’tmatch past prices). · I take photos of theexact item that you willget, unless I state otherwise. Genuine Mack Volvo Venturi Tube 22079434 "New"
Genuine Volvo Mack Atomization Module 22258875 "New"
Part Number 8065031. Quik-Kool Volvo Mack Fan Hub/Pulley. 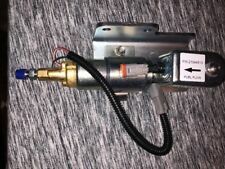 Genuine Mack Volvo Truck Power Steering Tandem Pump 21745603 "New"
Volvo Mack Power Steering Tandem Pump 21745602 "New"
Volvo Mack Fan Clutch 21508311 85147378 "New"
FITS: 95-03 MACK RD. DORMAN PART NUMBER: 917-5506 REPLACES MACK PART NUMBER: MK5839-Q347137. We specialize in parts for Camaro and Firebirds. BROCK'S CAMARO & FIREBIRD PARTS. Mack Truck MP10. TKB AUTOMOTIVE PARTS 70.652.